Welcome to the OrthoAlabama Spine & Sports Liberty Cup Boys & Girls Soccer Tournaments located in Beautiful Birmingham! We are excited about the 2018 Liberty Cup Soccer Tournaments this year! The OrthoAlabama Spine & Sports Liberty Cup Tournaments are host to over 225 teams each year and growing! We offer competitive levels and divisions for boys and girls soccer teams ages 8-19! The tournaments are played on the most excellent fields and facilities in Beautiful Birmingham! 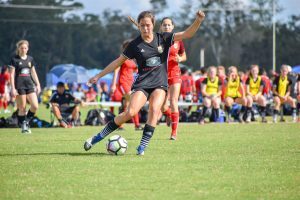 Facilities include the multi-million dollar Sicard Hollow Athletic Complex, Liberty Park Soccer Complex, and other Birmingham-area soccer complexes.